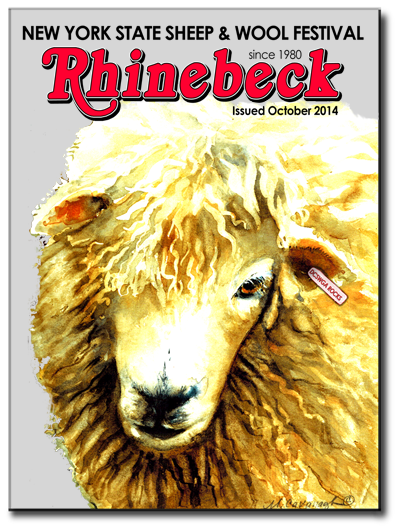 We'll be returning to the New York State Sheep and Wool Festival (aka Rhinebeck) October 18-19, 2014 for more fibery fun in upstate New York! Rhinebeck is our second-to-last show of 2014, and we're looking forward to sharing our Outlandish colorways, Outlander-inspired project kits, and our brand-new Allure fiber wash with everyone. If you've made something with our yarns, we'd love to have you stop by our booth to show it off! You can find Bijou Basin Ranch in booths 13 & 14 in Building C; we hope you'll stop by to say hello! For those of you who can't make it to Rhinebeck, we are pleased to offer all of our yarns, patterns, kits, and even our new fiber wash Allure in our online store. We also have a chance for you to win 3 full-size bottles of Allure via our Instagram giveaway which ends on October 11, 2014 - click here for more details! The Conjunction Cowl by Susie White (one of the co-hosts of the excellent Prairie Girls Knit & Spin podcast) is a cozy cowl knit with two colors of our Himalayan Trail yarn, shown here in Dinna Fash and Jacobite. 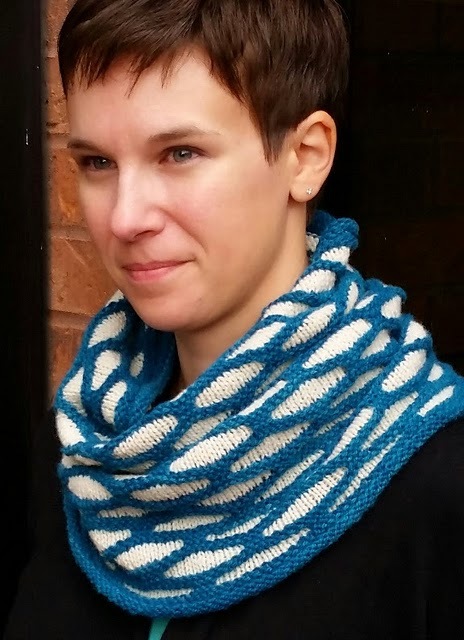 Marly Bird's Stellar Stripes Shawl crochets up in a jiffy using two contrasting colors of our 100% Yak Sport Weight yarn. Great for gifting, this pattern appears in the Holiday 2014 issue of Love of Crochet Magazine. 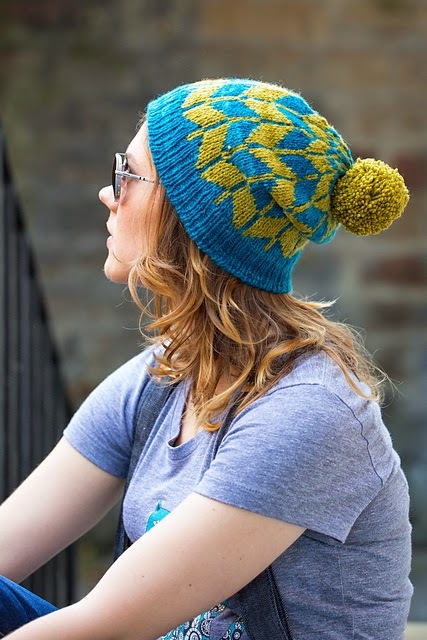 From earlier this year, Ysolda Teague's Elbert hat features a bold chevron design topped off with an oversized pom pom. 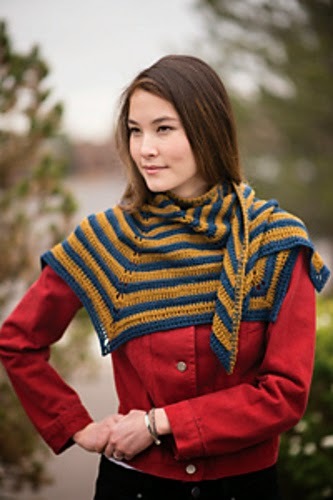 It's knit with our Bijou Bliss yarn and is sure to keep you fashionably warm this fall! 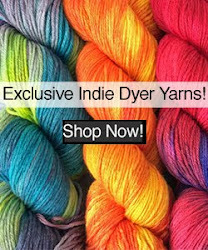 We look forward to seeing what you make with our yarns! 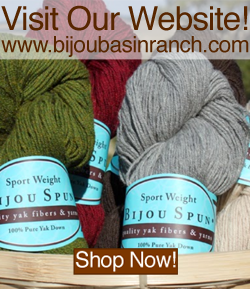 Be sure to join the Bijou Basin Ranch Fan Club on Ravelry so that you can share your finished projects with us!